It's New Airport Insider's 4th birthday and I promised not to forget our birthday this year as I had done last year and the year before that (see 2017 Resolutions, second point) It was on 4 October 2013 that we launched New Airport Insider. If you're curious, see our very first article. Since then, we've written over 60 unique articles on topics like airport wildlife risk management, A-CDM, Brexit, airport talent, people development, growth markets, public private partnerships (PPP) and much more. If you are new with us, use the Search functionality to the right or the Search by Category also to your right but a bit further down. Thank you for being part of our online community and here's to another 4 years! - Jinan Publisher & Managing Editor, New Airport Insider P.S. In case you're wondering what hiep hiep hoera means, here's the answer. Some time back, I wrote Airports Compete for New Talent about the challenges presented to today’s airport industry by the continuing need to attract, retain and develop airport talent. The question has become, where are those people coming from? Why are they different than what I am used to? And, how do I deal with all this? THOSE are the questions I most hear airport leaders discussing in the bars and restaurants – places where they can feel free to talk about any subject on their minds. As I wrote back then, this was once an industry in which most talent came through certain pipelines and tended to stay through their careers. All of that has been upended. Many of those pipelines exist, certain schools still have good programs, and many people still obtain certain certifications. But the overall picture is uncertain and unsure. Like last year, we want to end the year with a summary of what was achieved this year, what to look forward to in 2017 and ask for your feedback. The format of how we send you our articles changed. So in addition to the articles, we are able to add more relevant and valuable information. We missed our birthday. Again! This time we have added the date to our calendar so it won't happen again. ADB Safegate continued working with us and we welcomed NEC Display Solutions Europe and Konetica. Airport Talent was launched. It's objective is to help employers connect with quality airport professionals locally and internationally. So if you are hiring, try Airport Talent or ask your company's recruiter to start using the service. Airport Talent is about quality. We welcomed Azlan Morad as contributor. He wrote 2 excellent blog posts on private public partnerships (PPP) and has an upcoming post on climate change. The subscriber (you) count is now at 530. Our aim is to grow the subscriber base to at least 800 in 2017. If you are not on the email list, subscribe. If you like our articles and newsletter, please forward them to your colleagues and friends. Also, recommend us to your company for collaboration. New Airport Insider does not advertise. Instead, we grow organically via word of mouth and social media. And we are self-funded. Continue to publish high value, original articles. Not forget our 4th birthday. 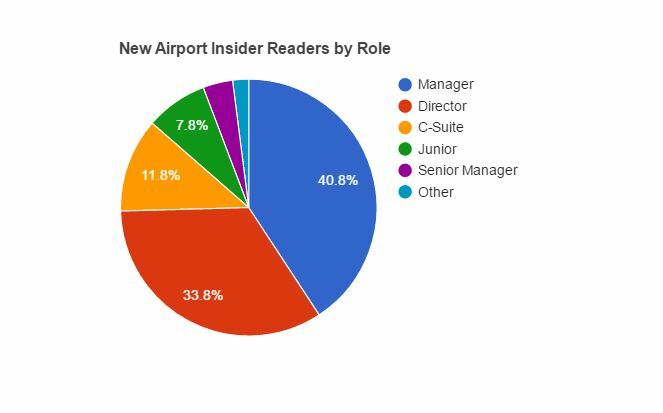 Bring on board new contributors (if you are interested in writing for New Airport Insider, contact Jinan). Offer an online course, if resources allow (contact Jinan if you want to collaborate). Organize an event, if we find the right partner (all offers will be considered so send in your request). Get help with running the blog so we can publish more often (contact Jinan if interested). Sponsor - Support New Airport Insider. Become a Benefactor, sponsor articles or hire us for your digital marketing projects. Jobs - We've added an Airport Talent page on New Airport Insider so that more people know about the service. Employers, if you are hiring, post your job. Airport Talent invites candidates to sign up for the email list to get updates. Australia Airports Build: The Other End of the LineSeason's Greetings from New Airport InsiderA-CDM Affairs: Avoiding Loss of Attention Span 2Introduction to Airport Planning: The Master PlanA-CDM in Europe: Is the Ball Rolling? Your feedback is important. Without it, we cannot improve. So please tell us how we are doing. Thank you for supporting New Airport Insider. We hope to continue delivering high quality articles for as long as possible. And from all of us at New Airport Insider, we wish you a nice Christmas with your family and a superb 2017. As we wrap up the year, I want to share with you a few highlights from 2015, what you can expect in 2016 and take you for a quick tour of the new website. Turned 2 in October (and forgot our birthday again!). If you haven't had a chance to see the new website, here's a quick tour. The benefits will be tremendous plus you will be supporting the blog to pay for running costs and invest in underlying technology. Send me a quick message if you have questions, comments or anything else. Thank you for reading our articles. The New Airport Insider team and I wish your family and you a wonderful 2016! Have a good one and we are back with a new blog post in January 2016. Update: Refreshed links on 9 October 2017. The About page design page changed a little bit but the links are still the same. On 7 December 2015, the European Commission introduced a new EU aviation policy. Here are the details. As 2014 wraps up, I want to share with you a few things. We are proud to be referenced on the 21st of December in FinanceAsia.com, paragraph before last. The only thing, they referred to us as an airline magazine. Last but not least, the New Airport Insider team wishes your family and you a warm holiday and a superb 2015! Thank you for being here and we will back with a new post on the 14th of January 2015.